How does the Quiz Report work? 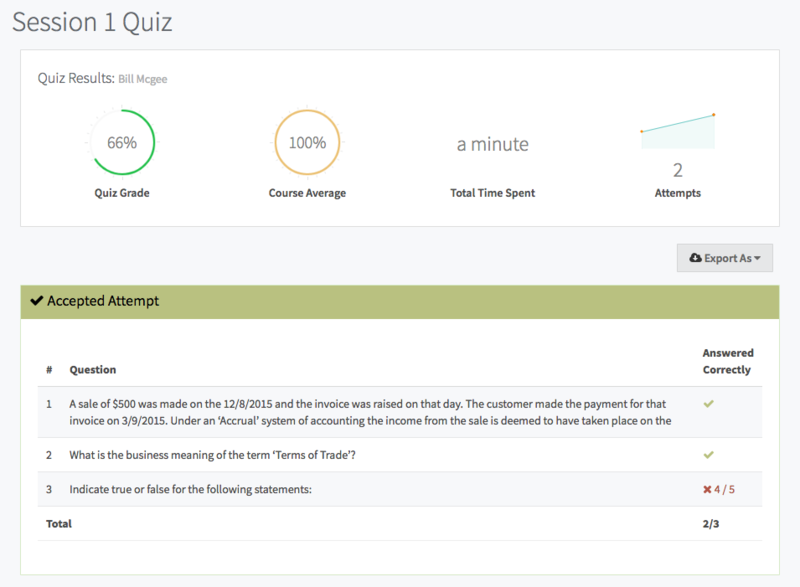 To get to the Quiz Reports click on the Analyse button on your Dashboard. 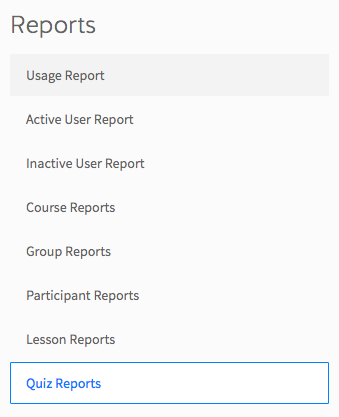 Quiz Reports operates in much the same way as Lesson Reports, except that it shows how many groups and participants are eligible to take that Quiz, how many users have completed each Quiz, and the average grade and time spent for each Quiz.